Titanium alloys are divided into alpha or β-alloys in the form of a crystal lattice: α-lattice — has the form of a hexahedron, and β-lattice — a cubic form. Titanium grades of the OT4 series refer to pseudo-alloys. They are not hardened by hardening and are divided into high-tech low-strength and high-strength super α-alloys. High-tech alloys have a minimum concentration of β-stabilizers, and a minimum percentage of aluminum. Such alloys are easily deformable and welded. OT titanium does not have high strength and has a tendency to hydrogen embrittlement. Structural advantages, corrosion resistance, minimum coefficient of thermal expansion, ductility and low ud. The titanium weight of the OT series makes it expedient to use it in the production of pipelines, nuclear ship boilers, ship pumps, heat exchange equipment, catapult water brakes, vertical lifting systems, and reflectors of an explosive jet. 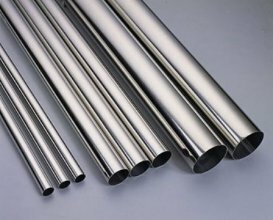 Titanium tubes of the ST series are relevant in the chemical industry, nuclear power engineering. The price of titanium rolling depends on the parameters of the products, the grade of alloy and the additional terms of delivery. Titanium rolling brand OT-4 OT4−0 OT4−1 differ in acceptable cost and a wide variety of shapes and sizes, which will allow any buyer to choose the product that will most fully satisfy his requests. High quality of manufacturing and full conformity of production to requirements of the state standard documentation and technical conditions for delivery — the basic principle of our company in work with clients. A reasonable price and convenient way of delivery is an additional plus in working with us.